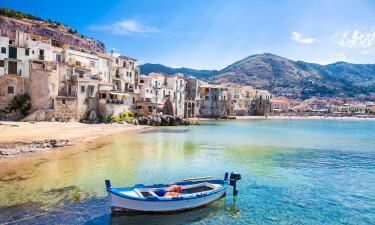 Sicily is the jewel in Italy's crown: an enticing island surrounded by a friendly sea, luscious landscape, picturesque mountains, and the infamous volcano, Mount Etna. If you are looking for a luxury camping holiday park in a fantastic region, and all the state-of-the-art amenities and entertainment you could wish for in a camp site, then this is the place for you. Sicily and its tiny islands offer a wealth of natural beauty, wonderful continental charm and hospitality. The quaint streets and houses, marble plazas, terracotta walls, olive and lemon tree fields, panorama and stunning geology, cultural traditions and magnificent Italian cuisine, are forever present. There are plenty of town and village markets with local produce to try out, and lots of unique souvenirs to bring back home. There are fascinating historical sites to visit and learn about the incredible legends from Virgil to Homer, as well as the historical roots of Sicily, and its colourful ancient cultures including the Carthaginians, Phoenicians, Greeks and Romans. Why go Camping in Sicily? There is a great choice of accommodation to suit all the family, including: a bungalow tent, a luxury tent or a mobile home. 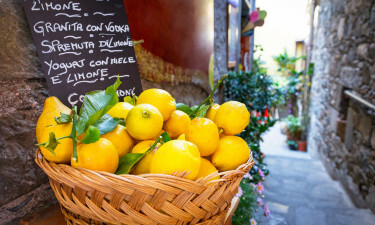 You are guaranteed to have mouth-watering Italian food, Mediterranean weather, and be surrounded by nature, which means enjoying a plethora of activities in both the day and evening. A camping holiday in Sicily will provide you with plenty of swimming in the sea or in the site's swimming pools. Sailing and windsurfing, fishing, sun kissed sand for relaxing and sunbathing, volleyball, tennis, table-tennis, football, basketball, cycling, golf, children's playgrounds and clubs, open discos on the beach, and organised entertainment and excursions for the whole family courtesy of the holiday camp site entertainment team. You will also find excellent amenities for all your needs from baby's changing rooms to laundry mats, and have all the utilities and computer availability at your disposal; as well as pool-side bars, restaurants, snack bars, take-aways, and shops, including supermarkets, on site. The cutting-edge facilities and sheer quality of the accommodation will give you a truly memorial holiday. The luxury pool and sporting and entertainment program and choices on offer are outstanding. There is a special children's playground and lots of fun activities for toddlers through to teenagers. 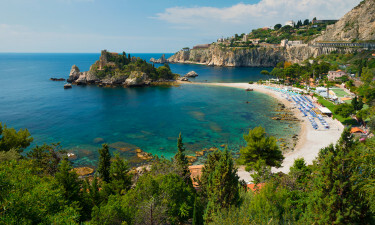 Taormina houses the lovely Isola Bella beach which is surrounded by trees and woodland, and close by is the beautiful unspoilt Letojanni beach. 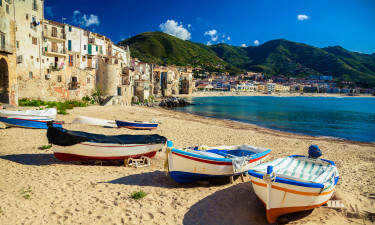 St. Alessio beach, renowned for its white sand and eighteenth century castle, is also worth a trip, as is the welcoming beach of Cefalu. Sicily's glorious heritage means that there are plenty of architectural and artisan places to visit. 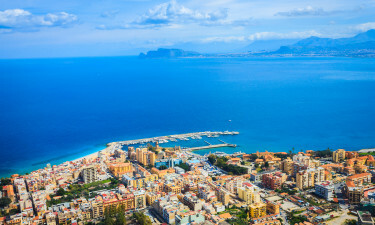 Palermo is top of the list: it is the capital of the island, and is endowed with ancient Byzantine mosaics, Arabic arches and domes, baroque embellishment, the remains of Norman places, and fascinating museums. Agrigento's Concordia temple is also very worthy of a visit. Sicily's delicious traditional cuisine is representative of its long cultural practices, and includes: tuna, swordfish, shellfish, ricotta, lots of herbs, and citrus; as well as all kinds of nuts including: almonds, hazelnuts and pistachios. Sicilian wines are now becoming popular all over the world, and are now being firmly established as household names. Try out their famous pasta dishes, fish couscous and aubergine dishes, and enjoy the brilliant local wine which is so much in demand!